Commander Coleman Stryker raised his binoculars and surveyed the landscape. His battered and beaten Warjacks clinked as they cooled from the forced march over treacherous terrain. Stryker spied his objective; about 20 feet from the warp gate he must capture, a large band of Khador snipers huddled behind a thick stone wall, their weapons trained on the gate. 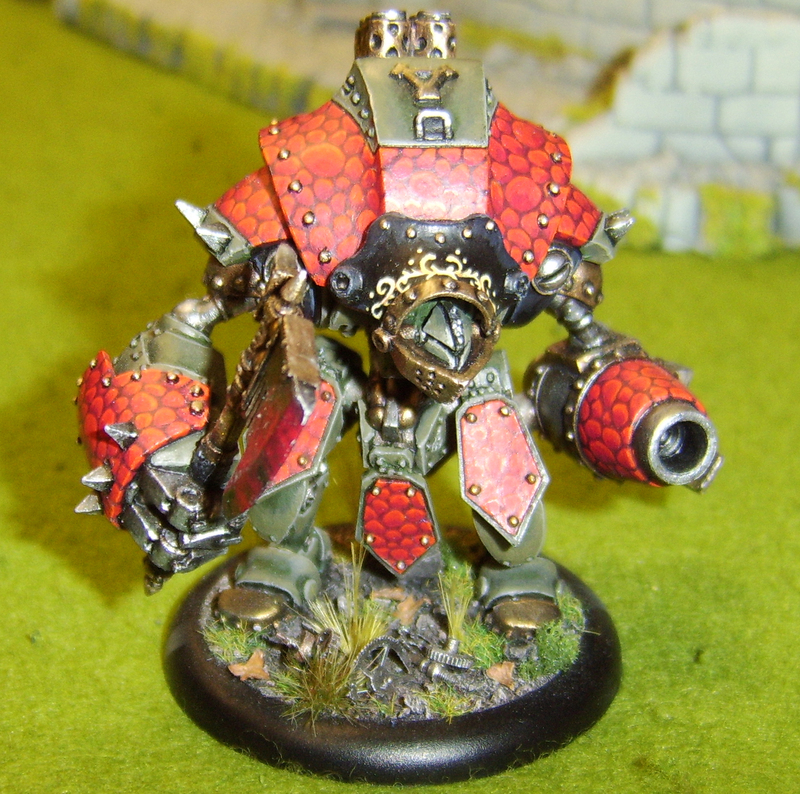 Behind them, two massive and shiny new Warjacks hummed and flexed their pistons. Stryker looked over his shoulder at his tattered, grimy ‘Jacks, upon whose crumbling weaponry the fate of the entire Cygnar race depended. One had a wonky arm where the superglue had failed to set, another was painted in an amateur manner, a third had trodden in dog-poo. “We are fucked” he said.